I need some brushes but EVERY TIME I am in a store that sells such things this need just falls right outta my head. 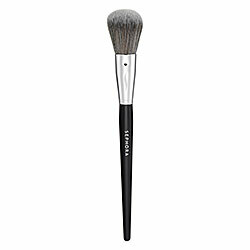 A lot of the Real Techniques brushes are add on items for Amazon shipping now. If that helps at all. I don’t really understand how the add on system works, but by the title, I assume if you’re making an order of some kind, maybe you can… add them on. I should buy some good makeup brushes. All I have are crappy ones. Or really, REALLY old ones. Sooooo, crappy because they’re worn out. There are some really inexpensive sets from both the lines I mentioned. But really any brushes at all are better than the little spongey things that come in the kits. I feel the same need to rationalize my spending a lot of money on brushes. When I think about it though, the make up goes on MY FACE, why wouldn’t I want to spend money on my face? I’m no model no one is really seeing my face but I do feel like my makeup covers better with brushes. It’s just been much more pleasant and less of a fight to get the look I want when I’m working with better tools. I have several different face brushes AND the beauty blender sponge. I use different ones with different foundations or BB cream, and even different ones on different days depending on how my skin is that day. I used this brush the other day and it worked great. Used it this morning and my skin just flaked up like mad (NEED MORE WATER), so I took all the foundation off and started over (I don’t always have that kind of time) and used a lighter foundation and different brush. I use the sponge pretty regularly, too. 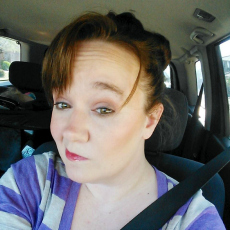 I like to try different tools with every different kind of makeup I get. Every time I’ve gone to the mall since you posted about Gimme Brow – which has been about three times, once PURELY for the purpose of procuring Gimme Brow and FakeUp – Sephora has been sold out of Gimme Brow! So I still have to walk around life with my ordinary wonky too-light brows. Well, I wear a drugstore brand brow darkener. So really, I walk around with my ordinary wonky overly dark brows and also with some brow darkener on my forehead. But one day! Gimme Brow WILL be in stock and I can’t wait! It was in stock in my Sephora today! When I got it, Macy’s (where my Brow Bar is) didn’t have it, the Sephora in the same mall didn’t have it, but the Sephora in Penney’s (IN THE SAME MALL!) did have it. So weird. Also weird to have so many makeup places in one mall. If you have Benefit in Macy’s and they’re out of stock, they’ll order it and have it sent to your house free. That’s what my eyebrow girl told me, but I was too impatient to wait. I heard also that when it first came out, there was a waiting list at Ulta 100s of people long. NUTS. I love it, though! I wear BB cream. I apply it with my fingers then brush a light powder over it to set it. 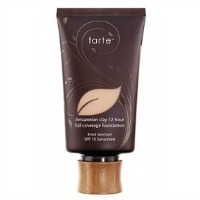 Would the BB cream be better with a brush, or is it something that I NEED to smush in with my fingers to make the color appear? Also, the powder I have been using is the Wet ‘n’ Wild one you recommended and I really like it. It’s so SOFT on. Unfortunately, I think I might be…mildly allergic to it. I have been struggling with allergies this year anyway, but I get a subtle all over itch with it that I don’t get with my other powder. It makes me sad because otherwise, I’m a fan. Last thing, a little less straight makeuppy, but still about my face: do you have an eye cream you recommend? Stress and not enough sleep are causing a bit of a saggy baggy eye-lephant situation over here. Although I might have just destroyed any hope of a recommendation from you with that terrible pun. I have used brushes to apply bb cream, but my most favored method of application is the wet beauty blender sponge (the pink one – most people love the real thing only, but I’ve also used dupes and like them fine for bb cream). I don’t know about using fingers, not because I’m against it – I know a lot of people prefer to, and since BB cream is in a tube, there’s no worry about dipping your fingers into your makeup and getting anything in it that might cause it to spoil (it can happen otherwise! ), but I had SUCH bad acne at an early age that I’m really super overly conscious about putting my hands on my face. Like, pathologically so. Not about other people touching THEIR faces. Just ME keeping my hands off of MY face. If that makes sense. Like, I don’t see people touching their faces and think that they’re going to break out. I just have a HABIT of not touching mine. Or an anti-habit. I have a face force field. That only keeps out my hands. I just got a sample of Philosophy’s Eye Hope and I am astonished at the difference. I’ve always been very skeptical of eye cream promises because, seriously, those huge black circles I’ve had since I was a teenager have not been helped by two non-sleeping children. But after three days I’ve gone from needing copious amounts of concealer to just a regular dab of foundation to look non-zombieish. And Eli’s hit another sleep regression, so it’s not like I finally caught up on sleep or anything. So maybe see if you can get a sample of that. I got it in the Philosophy free gift when you buy two face products from Ulta. I think that’s over, but I bet it will pop up again. I also have not bought nail polish in ten months, in case anyone out there wants to start making up for that. I would just like to say that despite having 4 containers of foaming hand soap under the sink, after your last post I went to their online store and bought hand soap, mini-candles, and tiny hand sanitizers that I didn’t even need. I used a $10.00 off coupon code and bought a discounted gift card from cardpool, and shopped through ebates so theoretically I saved money. I guess what I’m trying to say is I’m highly suggestible and now I want to buy makeup. So, tell me about how you lovingly care for your makeup brushes. I’m just starting to take the idea that you need to wash your tools seriously (GROSS, I KNOW) and am curious if you use a rinse or the baby soap method or…. ?